How does one develop leadership traits and why is it so worthwhile for aspiring and successful leaders to work on acquiring them? Two sayings coined by a couple of the world’s leading leadership luminaries, John Maxwell and Warren Bennis, illustrate the value of strong leadership traits. “The most dangerous leadership myth is that leaders are born-that there is a genetic factor to leadership. That’s nonsense; in fact, the opposite is true. Leaders are made rather than born”. — Warren Bennis. These fundamental truths illustrate the value to aspiring executives and entrepreneurs of developing strong leadership traits. The first quote talks about the ability to sell a vision, to influence people to buy into your ideas. Good leaders inspire trust, positive sentiments and energise ideas through their very being. The second addresses the fact that leadership is a skill, something that needs to be worked on as opposed to some genetic quirk of good fortune. For aspiring executives, acquiring Leadership traits is fundamental to a successful executive career. The days of power over others are gone. Sure, a strong will and fierce determination can still enable people to produce outstanding individual results, and these results can get the attention of management and indicate that you may possess leadership potential, but without a capacity to unite people through ideas and communication an executive’s career prospects are almost zero. The same holds true for entrepreneurs looking to take their business to the top. Organizational success requires the ability to successfully facilitate shared enterprise; so the success of any business, to a very large degree, is determined by the ability of its leaders to get people working together to achieve a collective goal. People who don’t exhibit strong leadership traits will find this almost impossible to do. 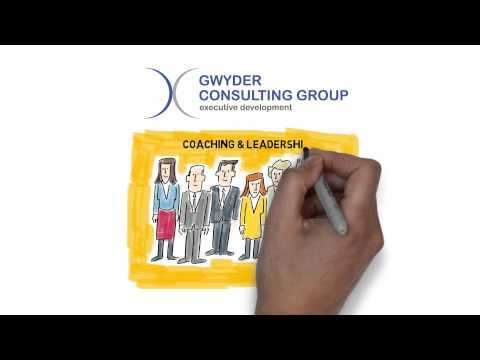 At Gwyder we work with successful people, and help them develop the traits that are common among today’s most successful leaders. If you are interested in finding out more about how we can help you become a more effective leader, we invite you to download our free whitepapers “The Secrets of Effective Leadership”. In the reports we share a simple exercises that can be used to increase your effectiveness in working with people both above and under you. There are two versions of the report, one for emerging or aspiring leaders, and one for senior executives and entrepreneurs. You can download our free reports here.